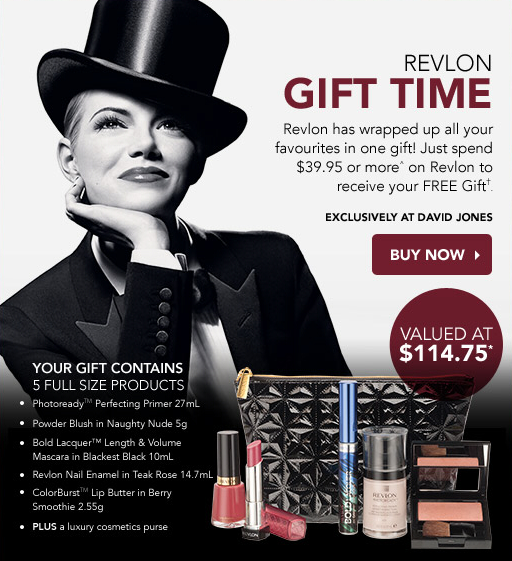 I've just received news in my inbox about the latest promotion by Revlon at David Jones in-store and online. Revlon are always so generous with their gift with purchase promotions! When you spend A$39.95 or more on Revlon products between the 29th of August until the 21st of September 2014, you will receive a fabulous 6-piece gift containing 5 full size products and a gorgeous clutch! Happy shopping ladies!